Connectable sections provide a reach of up to 10 feet! 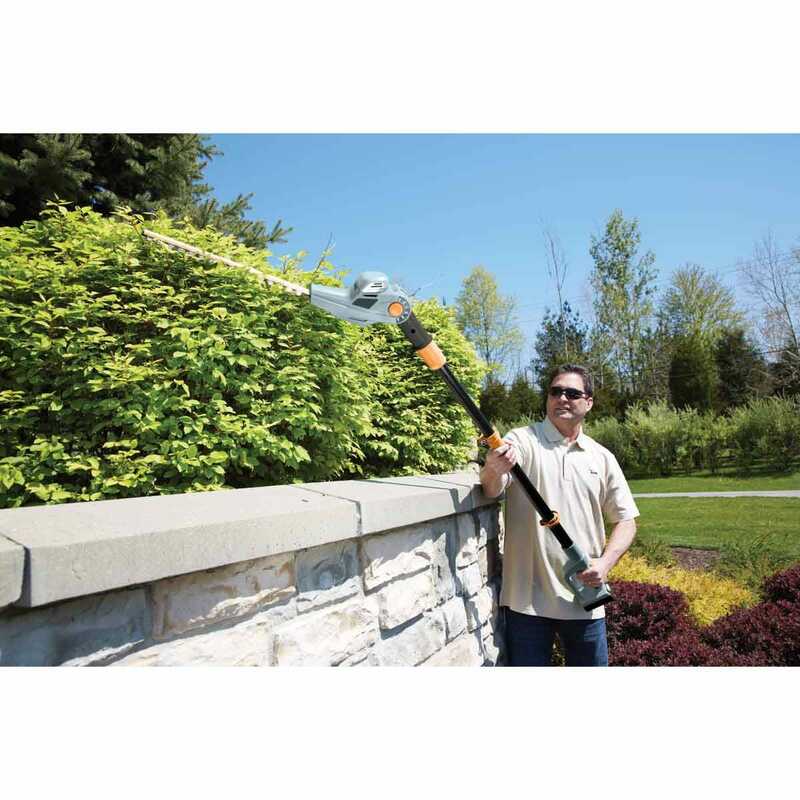 Lightweight, re-chargeable 24v Scotts Lithium Extended Reach Trimmer features a 180° pivoting head that locks into five positions for taking on jobs from high-growing hedges to low-lying shrubs. 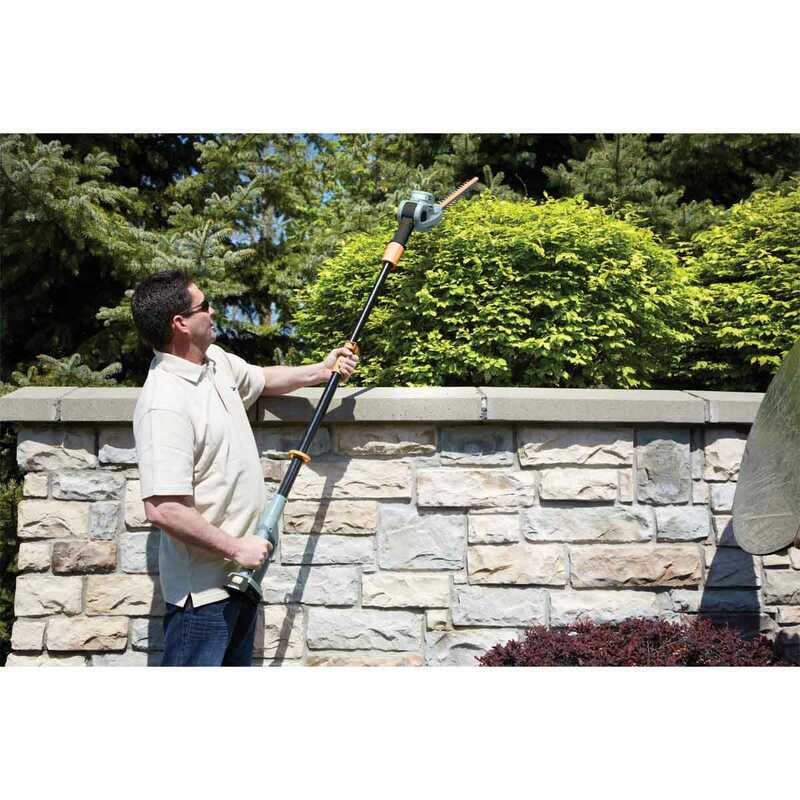 It's equipped with an 17" dual-action cutting blade for branches up to 5/8" thick, and a 24 volt battery that provides up to 50 minutes of run time on a full charge. 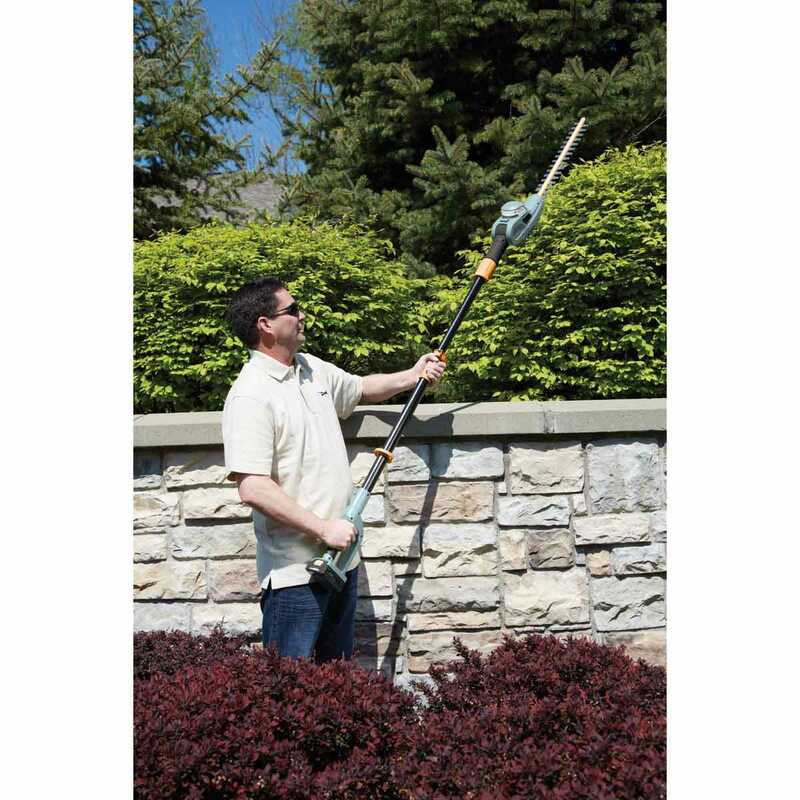 Head and power ends connect together for a total length of 6'6" for an overhead reach of up to 10'. Includes rechargeable 24v lithium battery pack, one-hour fast charge battery charger, and blade cover. Battery last approximately 15-25 minutes on a full charge. Weighs about 11 lb.